BEST PRICES + GUARANTEED REPAIR! Great prices and fast service from our experienced NJ plumbers at A1 Sewer & Drain Services, we have solutions for your sewer pipe problems. Our team of experienced NJ plumbers are always available for fast, reliable, effective sewer repair service, with straightforward pricing and a 100% satisfaction guarantee. When you’re dealing with sewer backflow, a burst sewer pipe, a collapsed sewer line, or other serious sewer and drain emergencies, you can’t afford to wait around for repairs. Every moment you wait, water damage builds up and the problem gets worse. That’s why at A1 Sewer & Drain Services, we have licensed and certified local plumbers available 24/7 for emergency sewer repair in NJ. 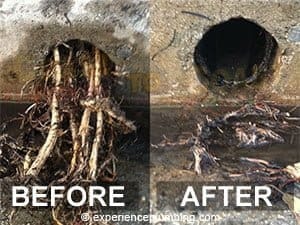 When you call us at A1 Sewer & Drain Services, you’ll never have to wait more than 45 minutes for effective, reliable sewer repair service from NJ’s best expert sewer plumbers. We also offer free diagnosis and troubleshooting, and we’ll never start work without giving you an honest, straightforward price quote. To find out more, or for sewer repairs today, call us any time at A1 Sewer & Drain Services, at 201-645-0888. Some sewer problems can’t wait until Monday morning for repairs. If you have serious flooding from sewer backflow, a collapsed sewer main line, or other sudden and serious problems with your sewer line, you need repairs now, not later. At A1 Sewer & Drain Services, we have experienced local plumbers available 24/7/365 for sewer pipe repairs when you need them the most. Even in the middle of the night, you can always call us for quality repairs with fast response times. Don’t let water damage build up while your sewer line leaks and backs up: call us immediately for service today from NJ’s finest sewer service plumbers. Anywhere in north NJ, we can have a sewer repair contractor at your door in less than an hour for fast, highly effective service that will fix the problem permanently. For sewer repairs today, call us now at A1 Sewer & Drain Repairs Services. 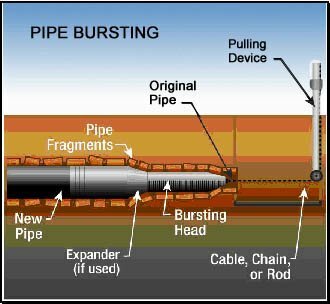 Trenchless solutions for sewer main line repair can save you time and money, all while reducing the hassle of getting sewer repairs in NJ. In the past, fixing a sewer pipe required extensive, intrusive sewer excavation, tearing up your yard and damaging your driveway. Not anymore! With newer trenchless sewer repair technologies, we can fix the problem through sewer cleanouts, manholes, and small access points– no trenches required. 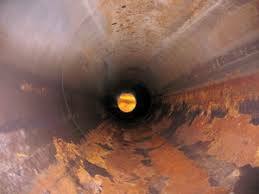 Instead of digging the access the sewer line, we can install a liner made from resin-coated cure-in-place pipe. It’s inserted into the sewer line using cables, an inflatable bladder that holds it in place, and a sewer inspection camera to guide it into place. Once it’s been cured with UV or heat, the pneumatic bladder is removed, leaving a durable and corrosion-resistant pipe liner that stops underground water leaks and restores wastewater flow. Cure-in-place pipe sewer relining delivers great results that last for up to 50 years after installation. Unless you need sewer pipe replacement, we can usually use sewer pipe lining to fix the problems with your sewer main line. This quick, highly effective process is less costly, less time-consuming, and less disruptive for homeowners, making it a good choice for sewer repair. At A1 Sewer & Drain Services, we also provide sewer repair service for local businesses, industrial facilities, and city sewer systems. We’re available for municipal sewer repair service in cities and townships throughout north NJ, using trenchless solutions whenever possible to minimize disruption and taxpayer expense for local communities. To find out more about our commercial, industrial, and municipal sewer repair services, or to have a plumber on site in less than an hour from your call, call us any time at A1 Sewer & Drain Services, at 201-645-0888. 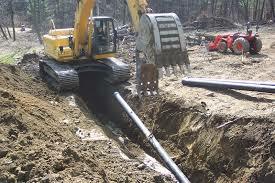 Need sewer repair in NJ? Get great prices and fast service from our experienced NJ plumbers at A1 Sewer & Drain Services. 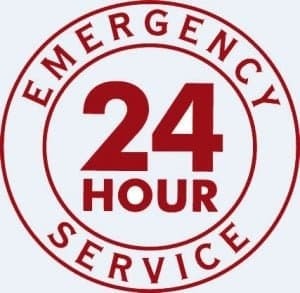 Call now at 201-645-0888 for 24/7 emergency service.